The scene was set mid-February, when millions of kilometres away from earth, a lone probe meandered atop some alien place. That place, admittedly, was on top of the Ryugu asteroid. The probe was the Hayabusa2 – a project from Japan Aerospace Exploration Agency (JAXA) – touched down briefly and shot a bullet into the surface to investigate the dust and other materials. The Ryugu asteroid is believed to be made primarily of large amounts of organic matter. Its life was traced back by scientists and it was revealed that it contained water from some 4.6 billion years ago. That was around the time the solar system was born! 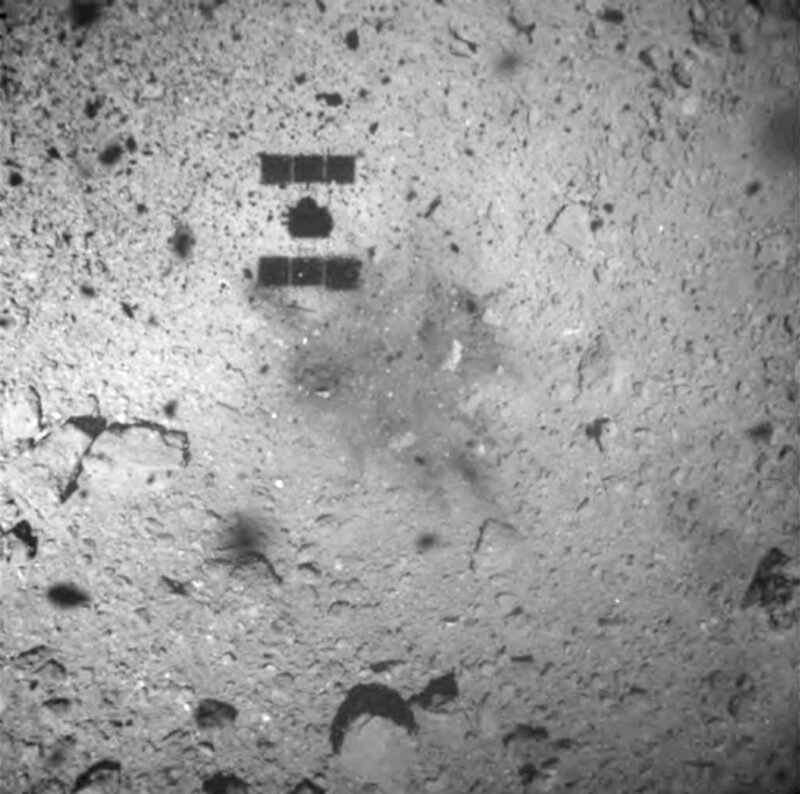 The next stage in Hayabusa2’s mission is to revisit the asteroid soon and fire another bullet to blast more materials from Ryugu’s surface! The mission is costing the Japanese government, 30 billion yen and will return to earth in 2020.